Then click the ‘run’ button at the top several times and notice how the output changes randomly. Line 1 imports code that someone else has written. This saves us time as now we don’t need to write lots of code to generate random numbers. As you write more complex programs you will import lots of other code. Line 3 uses ‘print’ to say display the random number on the screen. Notice that the ‘Data Type’ for the variable ‘random_number’ is an integer (number) and we need to convert it to a string (text) for displaying on the screen. 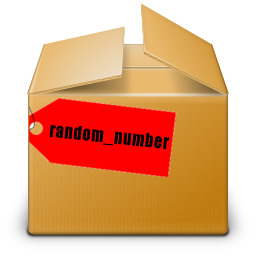 Variable – This time we used a ‘variable’ (or storage box) called ‘random_number’ and we put a number inside it. Data Type – variables can be numbers or text. We need to use the correct data type or we may create bugs. Imagine asking the computer to multiply 3 by John or even multiply 3 by seven. In both cases the computer will be confused as it can’t multiply a number by some text – so we need to tell the computer the ‘Data Type’ we expect to use. In the exercise we wanted to print the random number but we needed to convert (or cast) it as a string/text first. Functions – In computing we usually call special commands like ‘randint’ and ‘print’ functions. Try Roll the Dice Multiple Times next.